How can I raise funds to naturalize our child care center’s outdoor learning environment? Naturalizing your center’s outdoor learning environment (OLE) by adding trees, shrubs, flowers, grasses and vegetable gardens doesn’t require huge expenditures. At the community level, fundraising often starts with ‘friend-raising” – knowing your community and making connections to potential resources and funders. The more your own community knows about your center and what you hope to accomplish, the more successful you will be in the long run. There are many ways to acquire the resources you need for your OLE. Some elements may be free, donated or discounted by community businesses, such as plants from local nurseries or construction materials from a landscaping or construction company in your community. Some items or services may have to be purchased, and you will raise funds for these items. 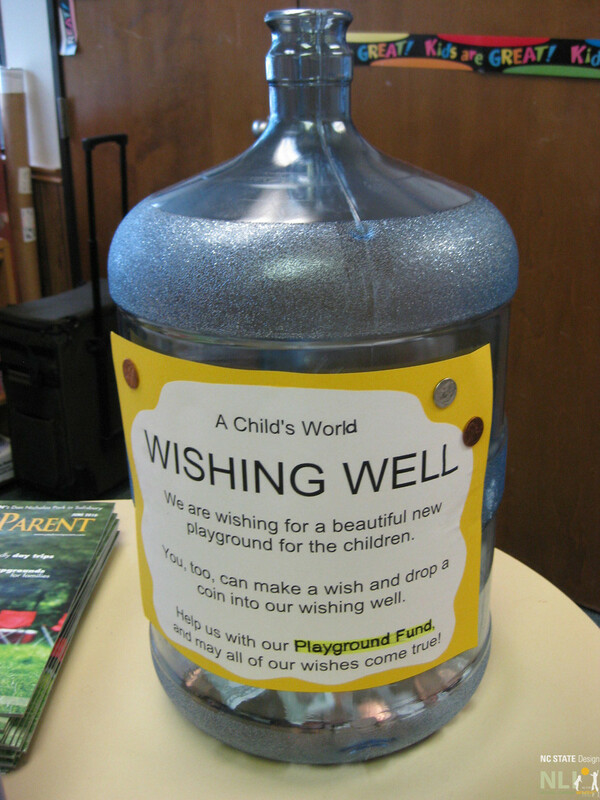 Put your wish-list on your parent bulletin board and ask parents to contribute by making a donation. Identify local businesses which sell the various needed items (plants, child-size garden tools, seeds, lumber, etc.) and ask them for donated or discounted supplies and materials. 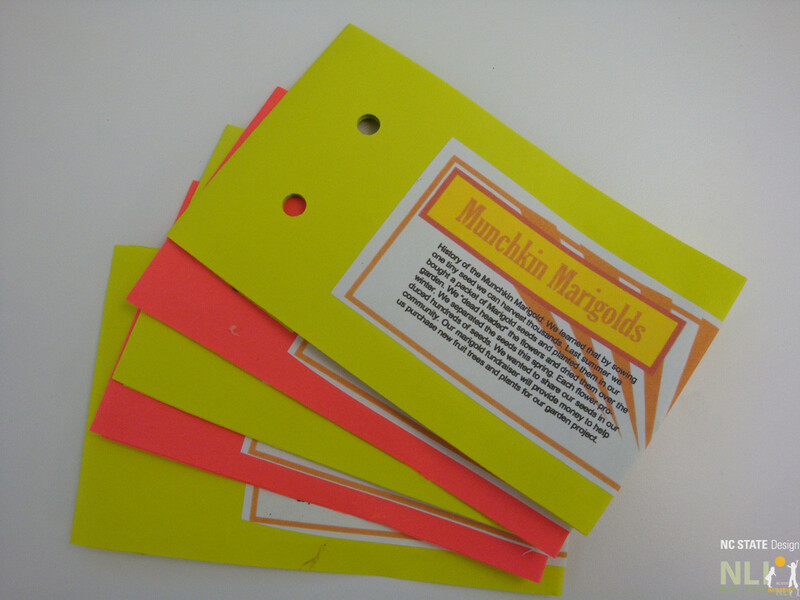 Many centers create their own fundraisers, such as plant sales, garden parties, cookbooks with healthy recipes and yard sales. Ideally, the fundraiser will reach beyond parents, teachers and staff and into the wider community. Many organizations provide small grants or free materials when you write a specific request via an application. Most grants are competitive and offered only on certain cycles so be sure and know your funder’s process and deadlines. At the local level, contact area businesses or local community foundations via their website to learn about their community contributions process. 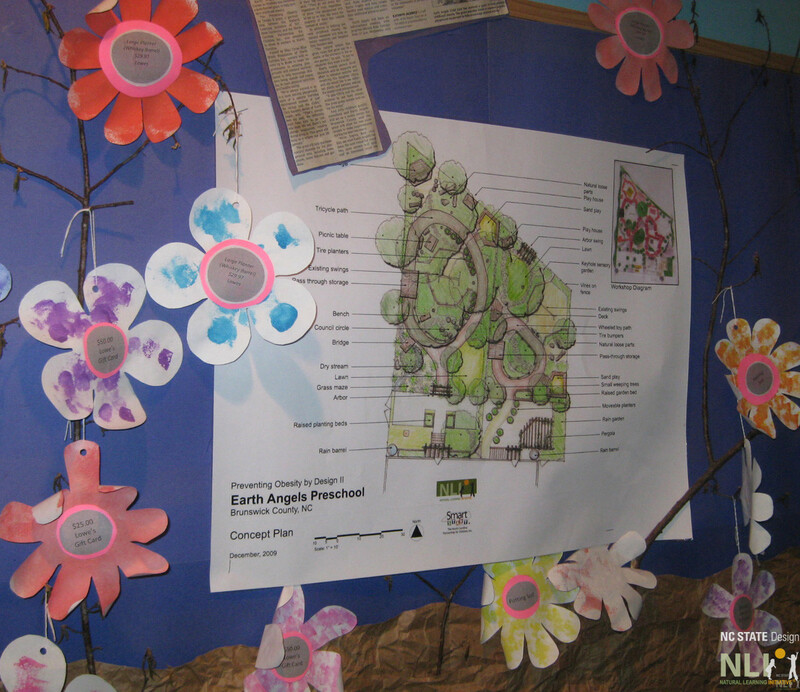 Wish-list items on child-made, takeaway flowers are displayed with the schematic design at the entrance to the center. Seed packets containing seeds “harvested” from the garden will be sold to raise funds for further naturalization of the OLE. The National Gardening Association, lists over a dozen grant opportunities that support garden projects. You’ll also find a host of other resources at this website including curriculum and programming ideas to support children’s gardening.